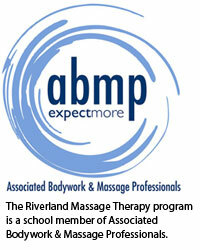 Why Study Massage Therapy at Riverland? 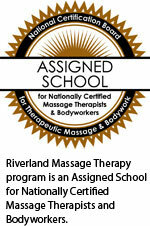 Riverland Massage Therapy program is an Assigned School for Nationally Certified Massage Therapists and Bodyworkers. The Massage Therapist program prepares the graduate to operate a massage therapy clinic or be employed in another health care-related setting. Massage has been shown to improve circulation, enhance relaxation, reduce pain and increase mobility and flexibility. Massage Therapists can work in a clinic, hospital, private practice, health club and a variety of other work settings. This well-balanced program integrates theory, anatomy, physiology, pathology and kinesiology along with developing professional communication skills. The graduate therapist is able to observe and assess the client's musculoskeletal system, propose and implement a treatment plan and observe the client's response to treatment. Documentation is done to record muscular pain and restrictions, postural distortions, fascial adhesions, client response and the effects of stress on the body. Our curriculum is diverse, teaching several types of massage and integrating the art and science of massage into the classroom some focus areas included stress reduction, deep tissue and myofascial techniques, reflexology, working with special populations, and other manual soft tissue techniques. This program also focuses on building strong communication skills that enable graduates to interact appropriately, respectfully and professionally with clients. The students have a variety of learning opportunities. Classroom time, hands on practice time with each other and later on the public. Class trips to a nursing home, cadaver lab and other chances to work with special populations. Guest speakers add to the learning process. The massage lab is private and blinds and shades prevent passers-by from observing the lab activities. Students will both give and receive massages with their classmates. In our program you will be required to disrobe in order to receive massages from your classmates. At all times the draping with sheets, robes, etc. will promote modesty and professional behavior. There will be a need for about 4,889 new Massage Therapists to meet market demand between 2016-2026. This includes the demand due to replacement (workers leaving the occupation or retiring) as well as growth. Where do Alumni work, and what titles do they hold? 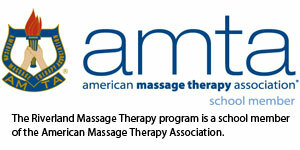 Some alumni work in hospital settings as massage therapists. Some work in salons as lead therapists. Many other alumni choose to be owners/operators in their own business. "Life is a balance between rest and movement". I love this quote and in my family we have a motto to keep things simple so that we can live out this idea of balance. I am a true believer that human touch is one of the most beautiful healing tools that could ever be used. This is why I feel grateful and blessed to be able to teach others about the power of touch through the Massage Therapy Program at Riverland College. In our classes, you will get to experience an awesome balance of rest and movement! Riverland Community College’s Massage Therapy Student Clinic is an educational facility where students provide massages - at a low cost - under the supervision of licensed massage therapists. Riverland College offers massage clinicals to the public during the second semester of school each year.